You are here: Home / Make Money Online / Is Someone Defrauding Your AdSense Account? 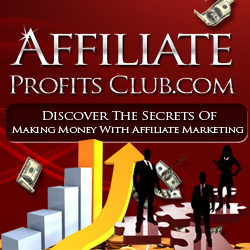 There are lots of different strategies that you can use to skyrocket your AdSense income. Repeatedly clicking on your ads isn’t one of them. That’s the sort of thing that Google takes a pretty strong line on – and rightly so. It’s just plain dumb and Google have a strong punishment for it: they can ban you for life. That punishment’s not unreasonable when someone’s deliberately trying to con Google’s advertisers. But it does leave a golden opportunity for anyone who wants to sabotage someone else’s income. If you’re making a lot of money using AdSense – and you’ve also made an enemy or two – there’s nothing to stop someone coming to your site, clicking your ads a couple of dozen times and wiping out your income. Sound scary? It should. Once you get banned, that’s it. It’s very difficult to persuade Google to let you back in. That’s why when it comes to protecting your AdSense income, it pays to be proactive. In my book, Google AdSense Secrets, I talk a great deal about the importance of checking your stats and tracking your results. I explain what you should be looking for when you want to increase your revenues. But you should also be looking to making sure that no one is trying to deliberately land you in trouble. If you see in your logs that your site received a stream of clicks in a short time – and from the same IP address – don’t wait for Google to get in touch. (Their letter won’t be pleasant). Drop them a line right away, telling them that you’ve spotted some suspicious clicks on your site and ask them to investigate. You shouldn’t be surprised if they write back and tell you that those clicks won’t be counted towards your revenues but at least you’ll still have your account and you’ll still be earning. It’s pretty rare for someone to go out of their way to cause problems for AdSense users. Most of the people you meet on AdSense forums and other places online are good, decent folk who only want to help. But it is worth remembering that your site is vulnerable. Just as you install anti-virus software to protect your computer so you should take action to protect your AdSense revenue. Track your stats closely and move first if you spot something suspicious.